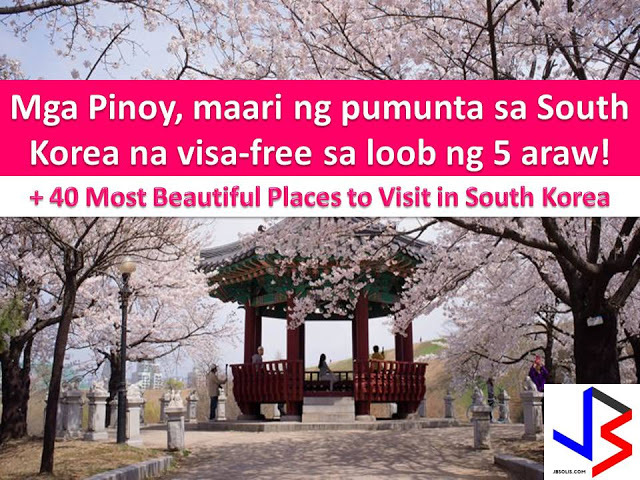 THOUGHTSKOTO Thoughtskoto : POEA to OFWs: Do not transact with 8 suspended medical clinics! 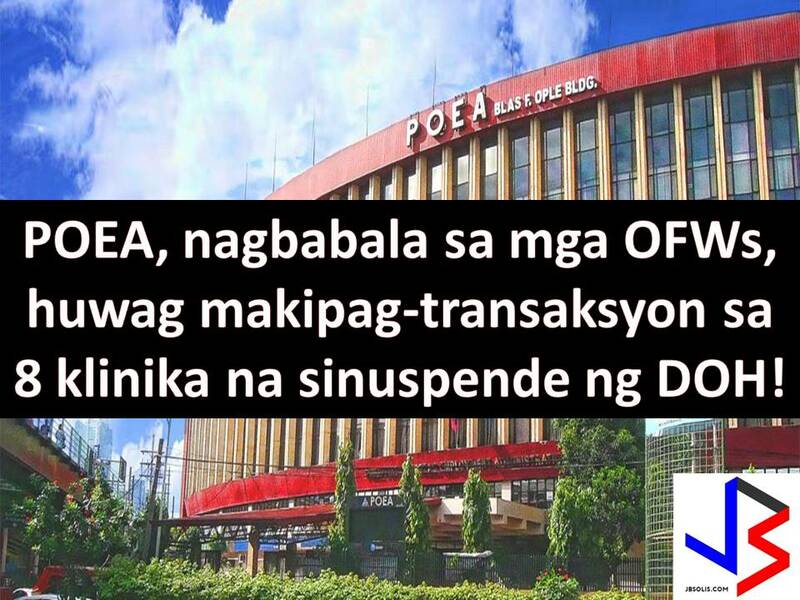 POEA to OFWs: Do not transact with 8 suspended medical clinics! A medical certificate is one of the important things an OFW need to secure before flying abroad. 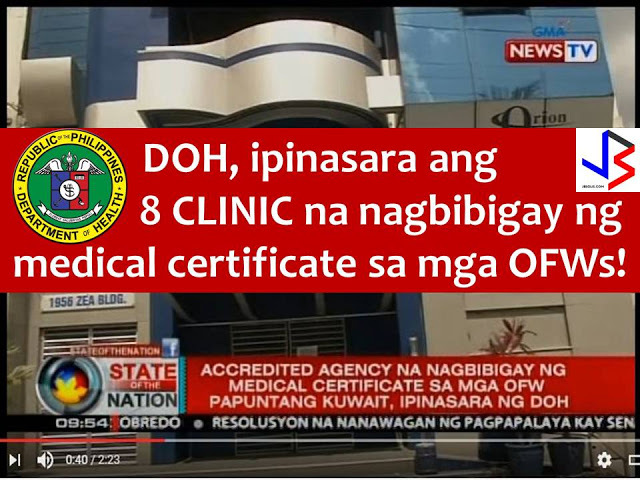 But recently the Department of Health (DOH) has suspended the operation of eight medical facilities for allegedly monopolizing the conduct of pre-employment medical tests for OFWs bound for Kuwait. 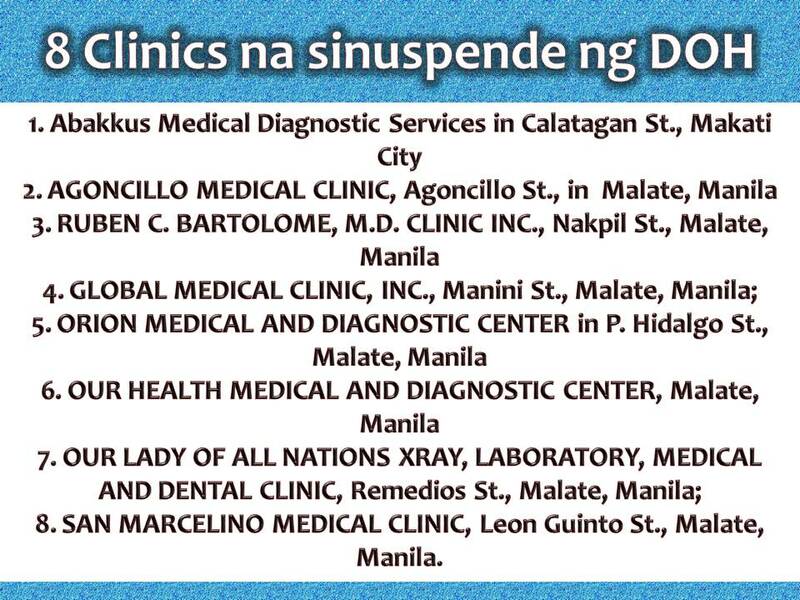 Because of this, the Philippine Overseas Employment Administration advised OFWs not to transact with this clinics because their accreditation is suspended. 8. SAN MARCELINO MEDICAL CLINIC, Leon Guinto St., Malate, Manila. These clinics were exclusively accredited by Ministry of Health of Kuwait through the Winston Q8 Certification Solution Agency. The POEA also ordered licensed recruitment and manning agencies to refrain from sending their applicants to the suspended clinics until their suspension is lifted by the Department of Health. The preventive suspension of the DOH issued on March 9 was based on a Congressional resolution filed by Albay Rep. Joey Salceda and ACTS-OFW party list Rep. Aniceto Bertiz. It is stated in the resolution that there's an agreement between Winston Q8 Certifications Solutions and Mawared Services, the agency that issued visas for Kuwait. The resolution said the Mawared Services allegedly accepted medical certificates exclusively from Winston Q8 Certifications Solutions. On the other hand, the government is investigating the connection of Kuwaiti man Hussein Al-Dhafiri, suspected to be a member of the Islamic State group and was arrested in the Philippines last month. It is because Al-Dhafiri was reportedly an employee of Winston Q8, a Philippine-based company processing medical certificates for Kuwait-bound overseas Filipino workers since last year. He was deported, Friday, April 21 by the Philippines to face charges at Kuwait. The National Bureau of Investigation and Bureau of Immigration is currently investigating Al-Dhafiri and his wife and their connection in Winston Q8 and who are the people they help to get working visa. Thousands of Overseas Filipino Workers (OFWs) could not leave the country, especially those who are bound to Kuwait after Department of Health (DOH) ordered the closure of eight medical clinics. Working abroad is not easy and no Overseas Filipino Workers wants to work abroad for the rest of their lives. Of course, no one wants to be separated with their family and loved ones for a very long time.